Bring some warm touch and give a cosy feel to your home this winter by placing this beautiful handmade wool Persian carpet. This handmade rug is beautifully handcrafted by our talented weavers in India. This is ideal for a living room and a bedroom as well. 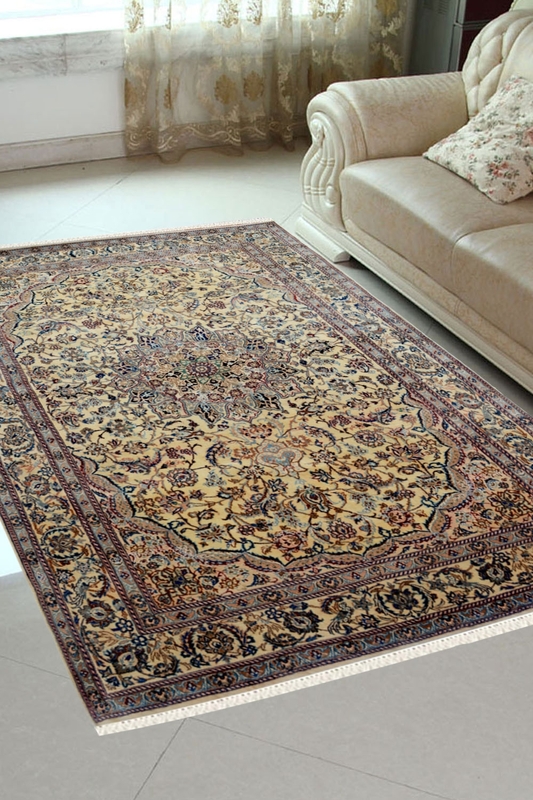 For adding a statement to your home décor and for providing a comfort zone to your family, buy this beautiful handknotted carpet which is woven in 100% pure New Zealand wool and cotton material. This is the most natural fabric which is used for weaving this type of beauty. The handmade wool yarn has been colored in chrome dye before weaving process. No chemical dye used for it. Ivory oval medallion is a pure Persian carpet and gives an ethnic look.